Hallie and Grace Weston couldn’t be more different. Older sister Hallie thinks all the world’s a stage –her stage, to be exact –while even-tempered Grace tries to keep her dramatic sister in check. 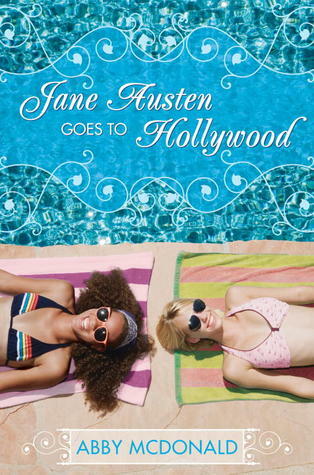 When their father dies, leaving everything to his snooty new wife, the sisters face a new challenge: uprooted from their home and friends, they’re forced to move into a relative’s guest house–in shiny, status-obsessed Beverly Hills. Plunged into a strange and glamorous new world, the penniless Weston sisters try to rebuild their lives. Aspiring actress Hallie throws herself headlong into the Hollywood scene–and an intense affair with musician Dakota. Meanwhile, shy Grace manages to find an unlikely ally in the bubbly entrepreneur Palmer, but still yearns for the maybe-almost-crush she left behind. But is Hallie blinded by her cinematic visions of true love? And can Grace find the strength to step off the sidelines?